Given that Timeform's Head of Editorial, Simon Walker - whose help with this module of The Timeform Knowledge is much appreciated - reckons it takes at least three months to get even a gifted newcomer to be able to read a race well enough to be left to their own devices, it follows that any 1000-word guidance on the subject will have to cut some corners. "Race reading", or "trip handicapping" as it is known in the US (a fine example of two nations being divided by a common language twice in the same short phrase), acknowledges that much of importance may happen in a horserace that will not be reflected in a result or in the times recorded along the way. When it comes to analysing what has happened, and what may happen in the future as a consequence, knowing that your horse finished third may matter considerably less than knowing it did so despite being boxed in for the whole of the closing stages or that it would have won but for trying to run out at most of the obstacles. Such things may one day be recorded faultlessly and automatically by image-recognition software. But, until that happens, this is the province of qualitative analysis, even if many of the observations can be recorded digitally (as Timeform's are) in a way which allows quantitative analysis subsequently. Interpreting something as complex - and something as downright chaotic at times - as the events of a horserace is difficult, but the human mind is well adapted to this sort of task. Practice makes perfect: what you are trying to do is to train your intuition to process complex information and to draw useful conclusions from it. It is not unlike learning how to drive a car, which I, for one, found impossible: until I didn't. Driving a car depends on certain rules and certain unavoidable laws of The Universe. But every journey is different - as every race is different - and things sometimes happen that are entirely outside one's previous experience. The good driver is prepared and usually capable of adapting. So, in no particular order, and with no promise of having covered anything like all eventualities, these are a few precepts for the budding race reader. 1, Like a scout, "Be Prepared" (though, unlike a scout, you won't get any badges). Prepare yourself to know what to expect of a horse in a race, while keeping an open mind about what DOES happen in a race: the difference between the two may well be significant. In particular, consider those factors that are different for a horse than previously/recently (headgear, distance, going, absence etc). Clue yourself up about different racecourses: which tend to favour speed over stamina; which ride differently on account of the ground; which favour certain types of horses; which may have a draw bias; and so on. Understand how different trainers work, especially in the formative part of a horse's career. Pay attention to (without overplaying) the betting, which may contain important indications of what may unfold and why. Watch a race a number of times through, on the first occasion ideally without any commentary (which can mislead, or at least lead in a certain direction). Establish the facts of what went on in a race before layering interpretation on top of them. 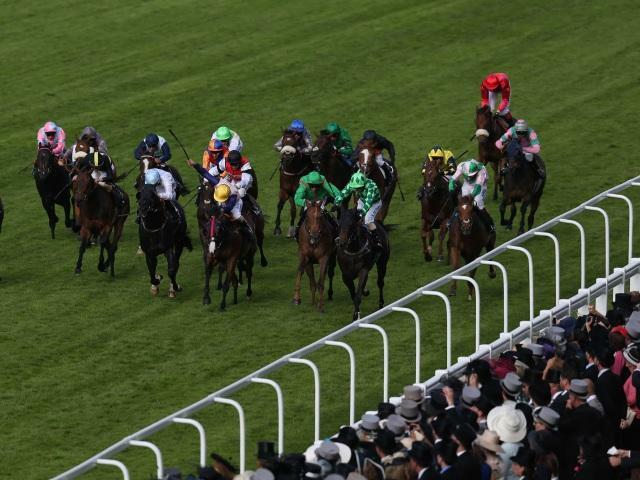 Most people pay far too little attention to the starts of races (a point emphasised by professional punters also): what happens in the first few seconds of a race, especially a Flat race, can dictate events for long after. Big-field races are best "deconstructed" into groups of horses in similar field positions and/or (on the Flat) coming from similar stalls: follow each group through as a mini-race in itself, then "construct" the race back into a whole at the end. Be aware of different jockeys' styles when assuming horses are going well or travelling badly: in some instances they can put you away. Clue yourself up about what marks out a horse as being inexperienced (which may well be a positive for the future) and what marks out one as being ungenuine (which is not). Inexperienced horses may be wayward, or require driving at an early stage of a race, but they usually show signs of learning as things go along; ungenuine horses tend to look reluctant - through sulking, swerving or failing to go through with their efforts (often accompanied by a high head carriage) - without any redeeming features, and often at the stage of a race where the precise opposite is required of them. Understand the significance of pace on outcomes: use basic sectionals, where possible, to frame or confirm impressions about speed/stamina and positional biases. Ask yourself both "what would this effort mean in a wider context?" and "what may this mean for the future?" It is all well and good faithfully recording the finer details of a race, or a performance, but that will count for little unless you can put it into a wider context, both in the here and now (is the race/performance strong, weak, reliable, or unreliable in the wider scheme of things?) and in the future. Follow your observations through: not just the ones that lead to bets but the ones that did not. Look to improve your methods through honest appraisal of whether or not you drew the right conclusions previously. That race you thought was strong but from which runners bombed left, right and centre: where did you go wrong? That horse you thought was a stayer who stopped as if shot every time it raced at further: should you have interpreted things differently? It can take a lifetime of toil to realise that you still have not truly mastered race reading. But you may still get more than enough out of it to make the effort worthwhile. Good quality race reading is still in remarkably short supply, and therein lies an opportunity for those who are prepared to try. Good race-reading combines quantitative and qualitative approaches, with some things easy to put a number on - such as a sectional time or an Early Position Figure - and others less so. Timeform believes that some aspects of a horse's ability and aptitude are difficult to define and may be best left vague. This is why you may see a symbol attached to a horse's numerical rating: a horse's unreliability or its potential for improvement may be a given, but the degree to which this will be realised in any given circumstances may be much more speculative. Applying symbols intelligently is an important part of a race-reader's job. For instance, being too liberal or too strict with the "p" symbol - denoting the likelihood of improvement on the published rating - will distort the significance of that symbol. While symbols are - deliberately - non-numerical, their average impact can be measured in numerical terms. Taken overall, for instance, a "p" on a horse's Timeform rating is a far more positive indicator than a "$" (denoting unreliability), as should be the case and as the following shows.